So you are a parent. You have this amazing little person changing before your eyes whose moments should not only be documented, but captured in a way that brings out the best in the split second you have to grab your camera and press your shutter. You want to show the beauty in their eyes when they smile and then when they are full of tears because it is important. Because years down the road when you look at that photo it takes you back to that moment. 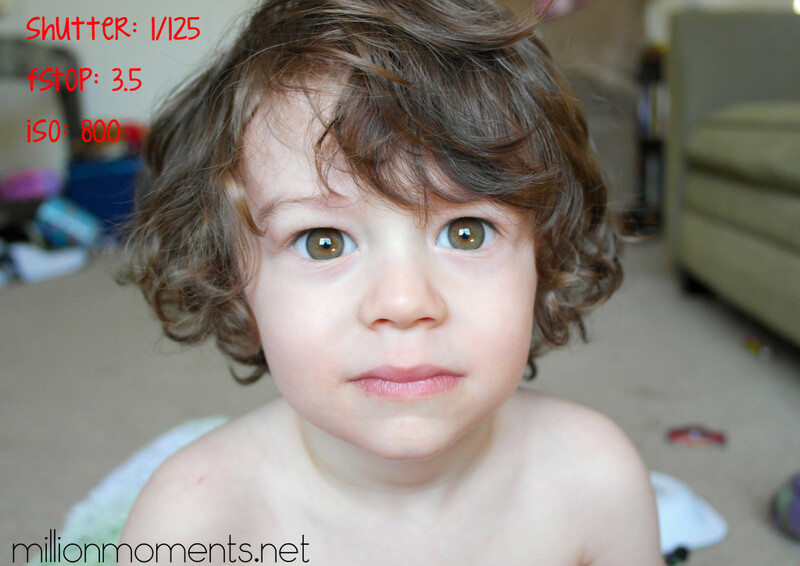 I got serious about photography when Judah was born for this very reason, it prompted me to buy my first DSLR and I have spent the last two years honing my skills and even building a business out of my love for freezing moments in time. Did you know that’s where the title of my blog came from? All the millions of moments I wanted to preserve and take with me throughout life. 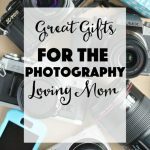 I have taught myself a lot over the years through trial and error and I want to share a few basic tips to help YOU take amazing photos for yourself! This is the first part in a series, so stay tuned for more later! A lot of people will tell you that a DSLR is the only way to go. Even though my own never leaves my side, if you aren’t using it for professional purposes you really don’t need one to have awesome photos. You DO need a reliable camera, a little bit of know how and a great editing program. 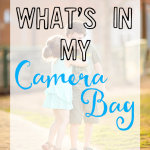 I will be taking you through this post using the awesome Samsung NX1100 smart camera I picked up at Sams Club because it really embodies everything that you need. It relies on a mirrorless system which offers MUCH better image quality than a point and shoot with a sensor size and manual controls comparable to a DSLR in a compact package. 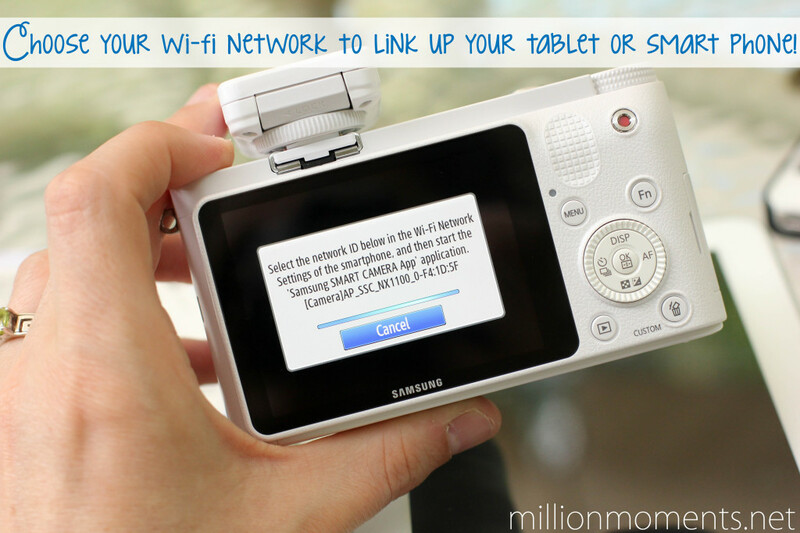 This powerful device not only offers wireless connectivity, control over your image settings and a removable lens, but it also comes bundled with the Samsung Galaxy tab and Lightroom 4 for less than the cost of an entry level DSLR! 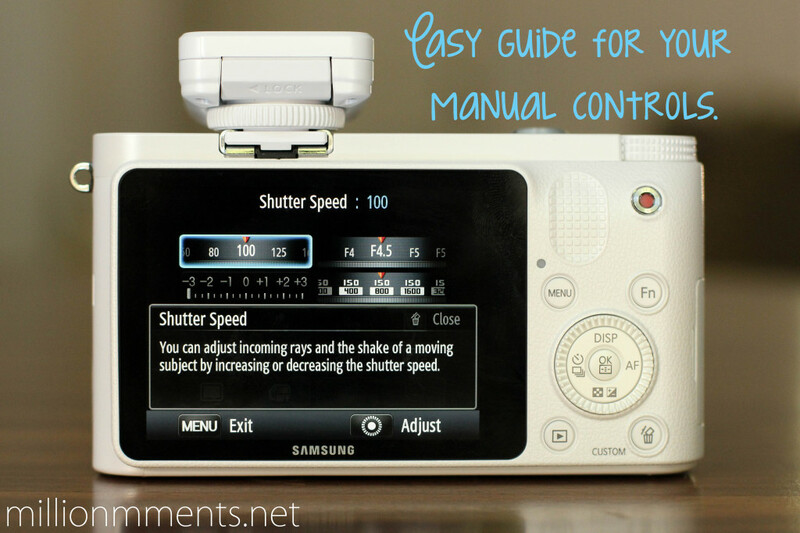 The first step on your journey to awesome photos: Use manual mode! Repeat after me: BUH-BYE AUTO. Forever. 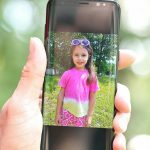 If you use a point and shoot or your phone you don’t have this feature, but when shopping for a new camera make sure there is a manual function because this is where your skills will shine. 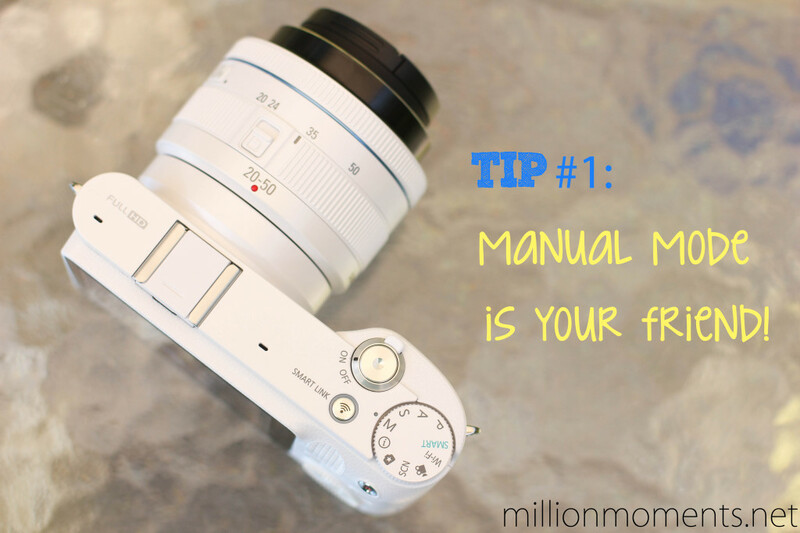 I know that manual can seem scary at first, but the more control you have over your settings the better your photos will be. 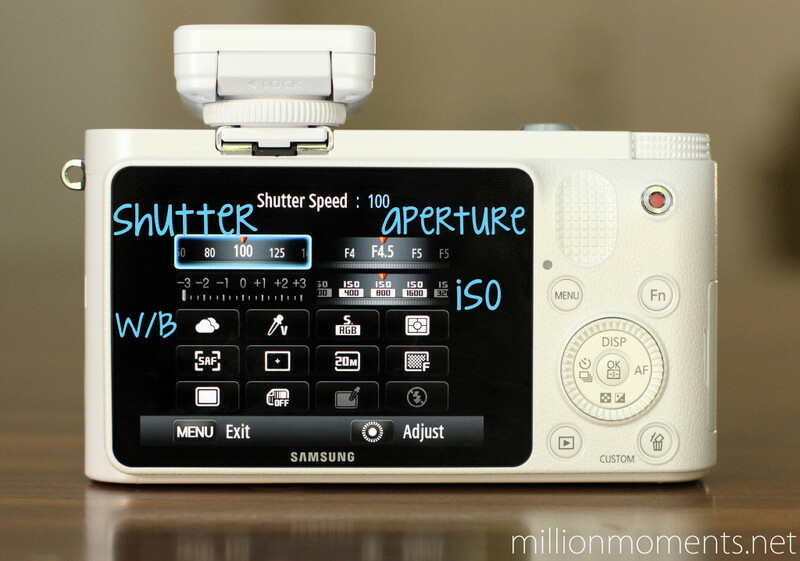 You want to learn the “big three” controls – shutter speed, aperture and ISO. 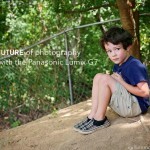 I am only going to talk about shutter and aperture here but stay tuned for a second part later. I wanted to make a chart explaining everything, but the Samsung NX1100 does a great job of guiding you through each one on the control screen so I will just show you that. 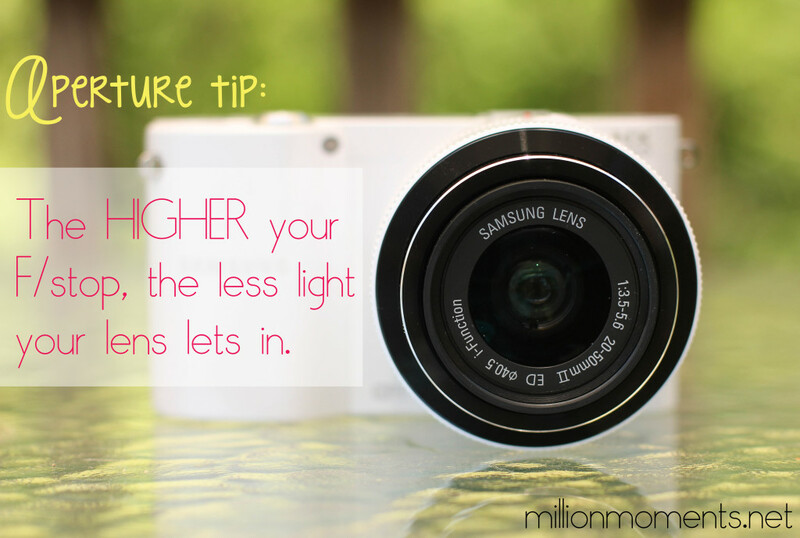 Shutter speed controls the amount of time that light hits your sensor. Always keep it above 100, the more time it takes to let light in the more room you have for motion blur. I usually shoot between 160-200 indoors with ample natural light, but outdoors (especially on a bright day) I can go up into the 1000 range without it turning out too dark. Fyi: with a higher shutter speed you will let in a lot less light than at lower speeds so you need to compensate for that by setting a lower aperture. Aperture (fstop) is the size of the lens opening when releasing your shutter. How low that number goes completely depends on your lens so you want a camera that allows for interchangeable lenses. The lower your fstop, the larger the aperture. Lower fstops let more light in than higher fstops, creating brighter pictures and a shallow depth of field for a nice background blur. I like to leave my fstop in the 1.8-2.2 range on my DSLR, but if you don’t have a lens that goes that low try to keep it below 4.0. The lens that comes with the Samsung smart camera goes down to 3.5, which works great for getting a large area in focus. Natural light is your most powerful tool. Lighting your subject in front of a sunny window, in a particularly bright room or outdoors will give you the most natural looking image. Your tones will be true, skin will look vibrant and you won’t have any harsh casts from indoor lighting or a flash. All of my photography is done either outside or in front of a large window and I NEVER use a flash. Here is an example of an indoor photo using only natural light. I shot this with the Samsung smart camera in my living room on a cloudy day and the window was directly behind me. See how great that is? I love how sharp this image is and the brightness of his eyes. The color quality is awesome, it has great depth and it doesn’t look weird and grainy like the photos I would get from a phone or point and shoot. A great editing program can make all the difference. No matter what camera you have, if you want to bring out the best in your photos you need to be able to edit them. This doesn’t mean changing them completely (most of my edits are very subtle), but adding some contrast or toning down a highlight here and there can take your images from drab to fab with very little work. There are a few very popular free programs out there that aren’t bad, but there are a lot of things that they just don’t have the power to do so Lightroom is what you need. 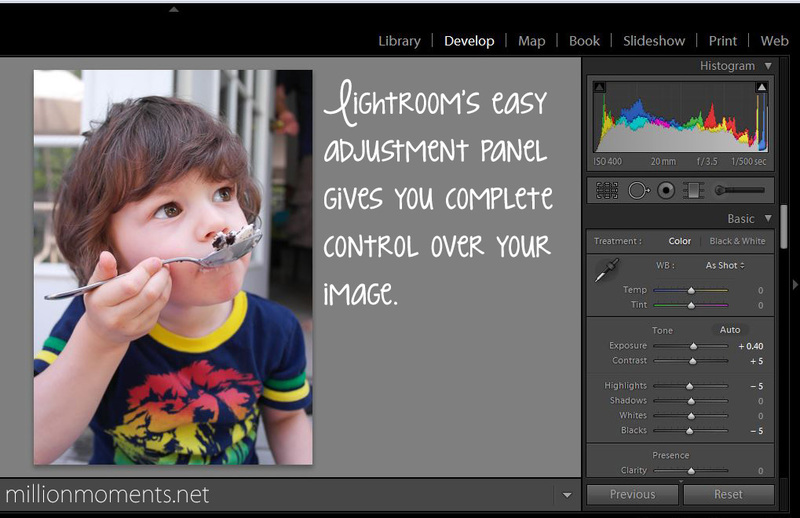 It is very user friendly, gives you complete control over all aspects of your image and cuts your editing time down by allowing you to save adjustment settings and apply them to any photo you like with one keystroke. 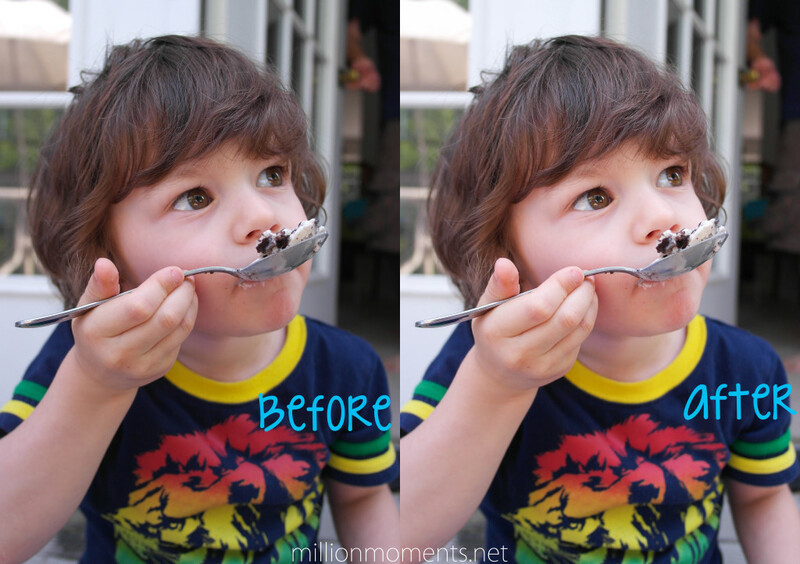 Here is before and after a simple edit of a shot I got with the Samsung NX1100. I added a little brightness, darkened the blacks and sharpened my image. This took me less than a minute but now it really pops! 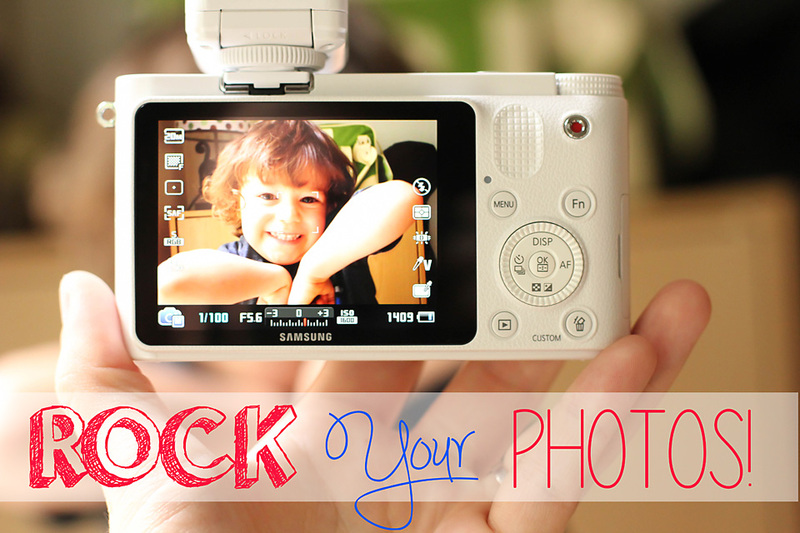 Now that you know how to rock your photos, start sharing them with everyone you know! 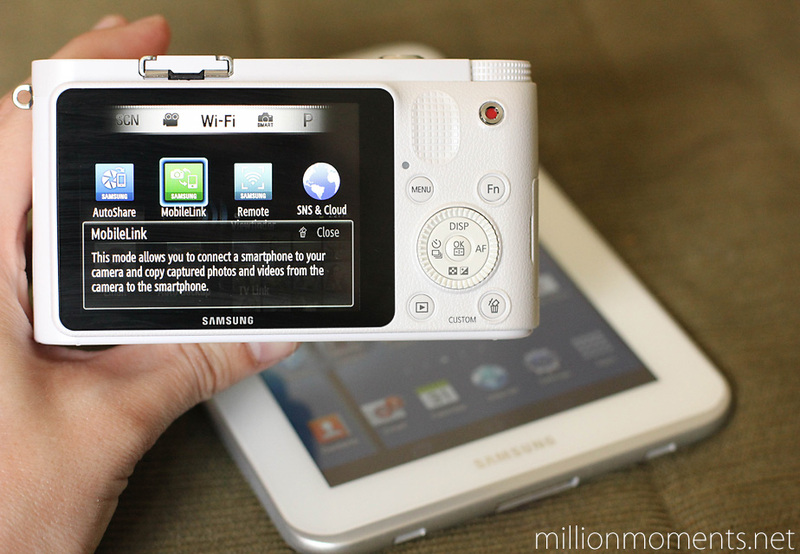 As I said before, the Samsung NX1100 comes completely wireless capable so you can transmit photos directly to websites like Facebook, Flickr or your Samsung Galaxy Tab with the push of a button! 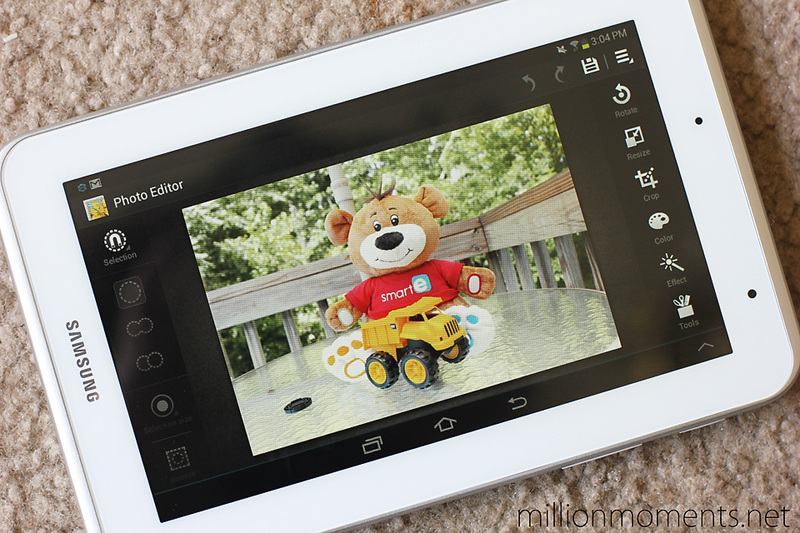 Once you send your photos to your tablet you can do quick edits with the built in software and post them on the web! Purchase the Shoot & Share #pixbundle at Sams Club for $599. This is an AMAZING deal – for $599 you get the Samsung NX1100 camera (retails elsewhere for $599 ALONE), the Galaxy Tab 2 ($179) and Adobe’s Lightroom 4 ($149). I’m sure you can do the math, that is over $900 worth of stuff! Stay connected: Like Samsung on Facebook to catch all their latest news! 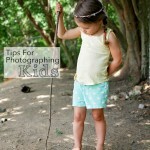 Stay tuned for more awesome photography tips very soon!